This trainer regrets not having robot legs whenever he has to catch the Cyborg Dragon to give it a bath. The body style of the Cyborg Dragon is leonine. It has a scaly green body and a light green underbelly, all of which are covered by several metallic parts, namely its head, legs, chest, back, and tail. Its whole head minus the lower jaw is covered with metal, and its eyes glow a bright orange with a bright yellow pupil. There is a slight dent in the metal for its nostrils, along with two slits on the forehead, possibly for ventilation. The metal on the back of its head curves up to form a crest of spikes, while one singular spike can be seen jutting out the side, near its lower jaw. Three small metal plates are attached to the sides of its chest. The metal plates covering its shoulders and thighs have a glowing bright orange circle; this circle also has a rectangular fin connected to it which has a small glowing rectangle of the same color. The feet of its forelegs can be seen, however, the claws have been replaced with three shiny metal ones. Both of its hindlegs have been entirely replaced with new legs. The metal along its back has two rectangular fins jutting out that also include a glowing bright orange rectangle in each. Its tail has three metal bands encased around it, all of them evenly spaced out. 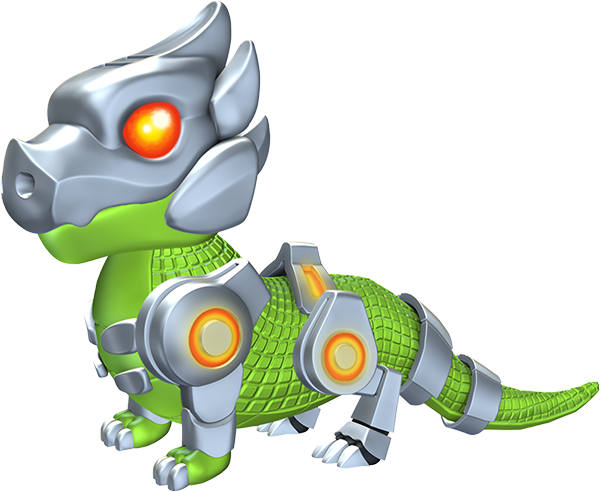 This Dragon is a reference to a cyborg, a live being with both organic and mechanical parts. 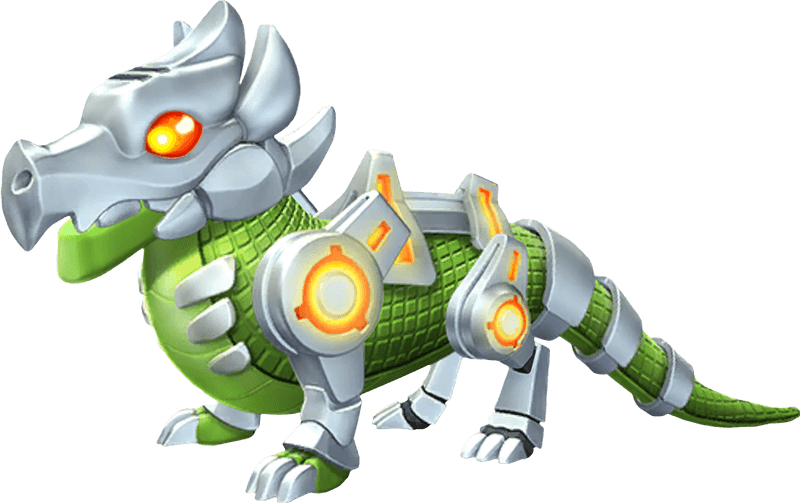 The Cyborg Dragon is a Normally-Breedable Dragon which can be obtained through the breeding of two Dragons having together the Metal and Plant Elements or through purchasing it from the Main Shop in exchange for 500 Gems. Both methods require the Trainer to have reached Level 15. Breeding for this Dragon takes 10 hours while incubating and subsequently hatching the resultant egg takes 12 hours. 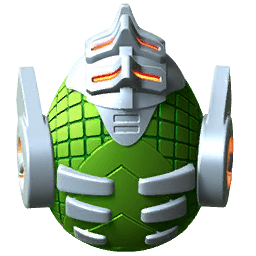 With an active VIP Status of Level 2 or higher, the breeding time is reduced to 8 hours while the hatching time is reduced to 9 hours and 36 minutes.